"Post-Soviet Russia in Andrei Zvyagintsev's somber, gripping film "Elena" is a moral vacuum where money rules, the haves are contemptuous of the have-nots, and class resentment simmers." "The cautious, controlling, abstemious bourgeoisie are overtaken by the heedlessly fertile lower orders, the temporary inheritors of a terribly weary earth." "Performances are superb across the board, framed in elegant widescreen compositions that simmer with violence." 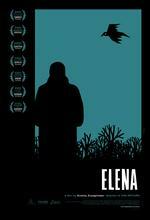 ""Elena" reveals a filmmaker in full command of his art and not much interested in catering to an audience. If you want this film, you have to meet it more than halfway."